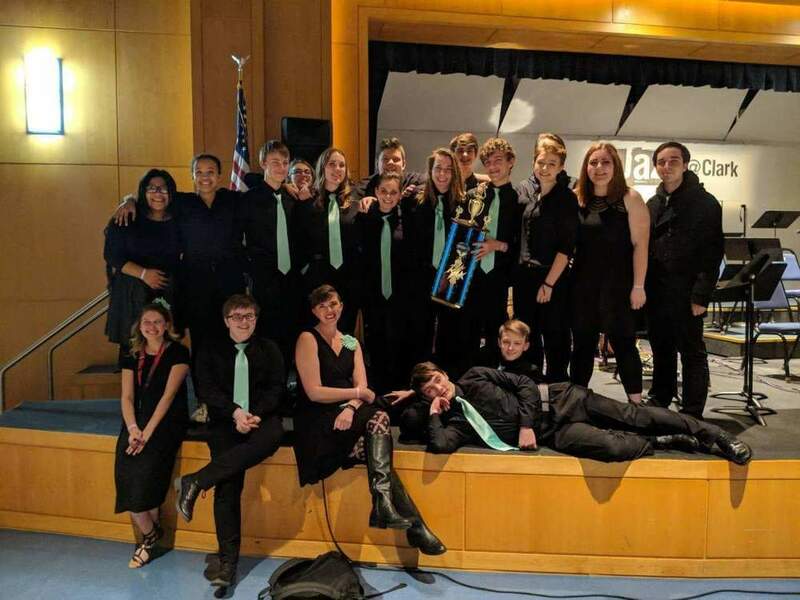 Woodland Public Schools’ Jazz Ensemble made up of high school and middle school students and led by Band Director Bryana Steck took first place at the 57th Clark College Jazz Festival this past weekend! More than 1,200 student musicians representing more than 40 schools from around Oregon and Washington competed with 3,000 guests listening attentively. The festival began in 1962, according to organizers, when Hudson’s Bay High School’s band director organized a one-day invitational performance for local high school bands. CONGRATULATIONS TO OUR JAZZ ENSEMBLE!